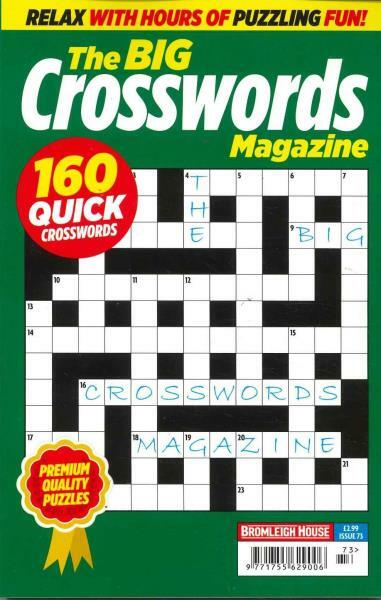 The Big Crosswords magazine include the super-sized Goliathon, the vintage Memory Lane and the Big Cash Crossword. Sharpen the mind with a bucket load of brainteasers and compile your own crossword with DIY tools. All this and plenty more! Difficult enough, but not too difficult. Excellent.